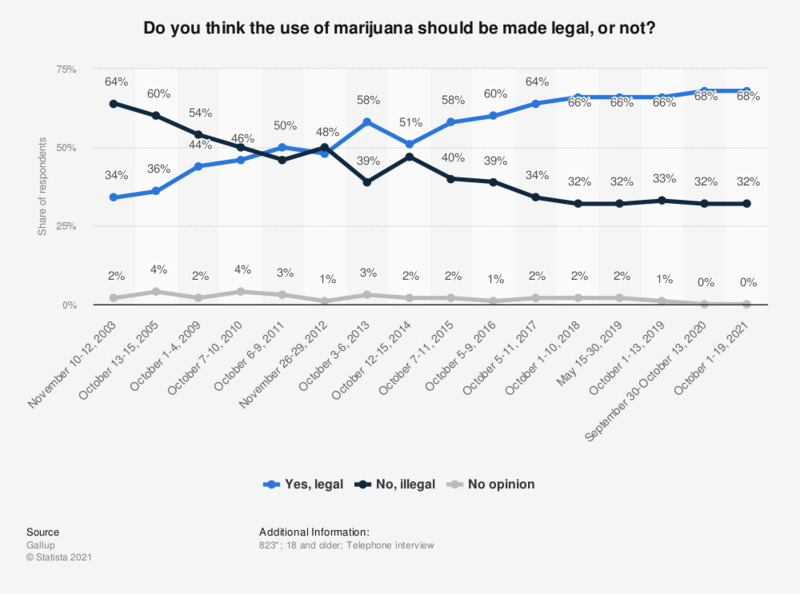 This statistic shows the results of a survey, conducted from 2003 to 2018, among adult Americans on the legalization of marijuana in the United States. In October 2018, 66 percent of respondents replied in favor of legalizing marijuana, while 32 percent were against it. According to the source, the question was asked of half a sample in 2003, 2005, 2009, and 2010. *Number of respondents in 2018. The source does not provide the exact number of respondents for the previous years.